After living in Chicago for 4 years- my lists of restaurants I want to try is getting longer and longer. This past weekend I finally visited Carnivale. I know, I’m late in trying it out, but its been on my list from the very beginning! The ambiance was so bright and colorful, the food was delicious, the company was awesome, not to mention the cotton candy for dessert. It was totally worth the wait! What are some of the restaurants you want to try? 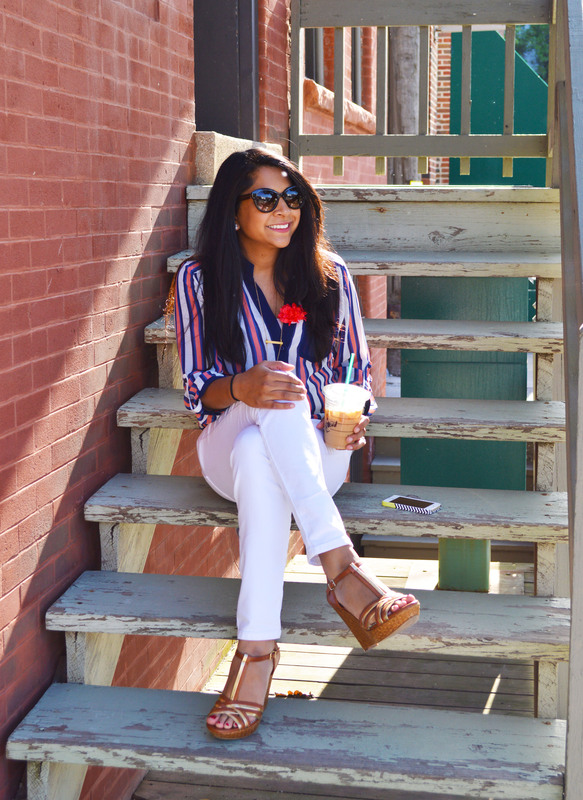 On the style – If you can’t tell by now, I love blouses! This blouse is from a past season from Akira Chicago. I love the orange and blue stripes. 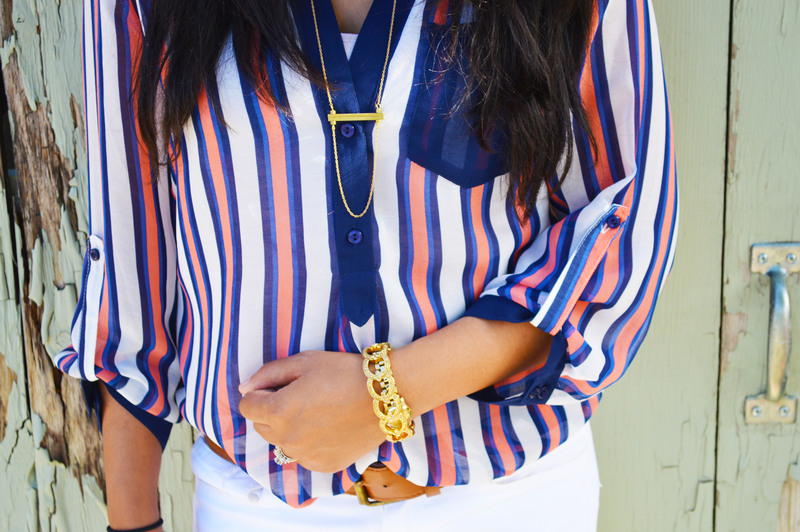 I paired it with my favorite white Joes jeans, a tan belt, and wedges. I also wore a Laura Lombardi Necklace. I love her pieces – they are so trendy yet elegant.